The Other Side blog: Spellcraft & Swordplay Summer Sale! Elf Lair Games (who also publish The Witch) are holding a summer sale. 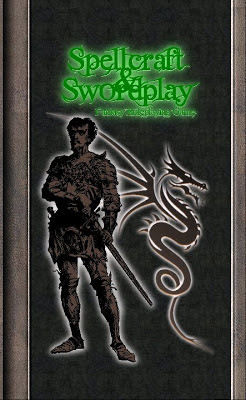 You can get their core rules product Spellcraft & Swordplay for half price and PDF thrown in! Spellcraft & Swordplay is a "what if" game. It uses the original combat resolution from 0e and the best of the OGL to create a new game with an old school feel. It is one my favorite old-school games to be honest. I own a hard copy and the limited edition boxed set. All you need is this book, some friends and a couple of d6s for everyone. If you have been curious about this game then this is the time to get it. cool! I will look into it!